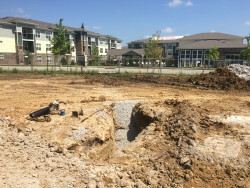 In April 2016, a joint venture between Oxford Senior Living and US Federal Properties’s sister company, CBC Real Estate Group, broke ground on a $15 million assisted living community complex in the Shoal Creek Valley area of Kansas City, Mo. This is the third project Wichita-based Oxford, who develops and operates senior housing complexes in Kansas, Missouri, Texas and Oklahoma, has partnered on with USFP. The 70,000 square-foot facility, called Oxford Grand Assisted Living and Memory Care, is located near Shoal Creek Parkway and NE 82nd Terrace on the northeast side of Kansas City. The new community will offer 51 assisted living apartments for seniors, along with 22 units that will be dedicated to those living with Alzheimer’s and dementia. The Oxford Grand Shoal Creek is modeled after the Oxford Grand complex in west Wichita, and is expected to be complete in early 2017. 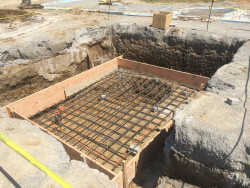 The contractor for the project is Crossland Construction and the designer is LK Architecture.